Baseball season gets underway with a true Opening Day on March 29. 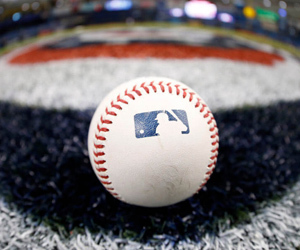 Before the first pitches are thrown out, MLB bettors will want to get their futures bets down on popular markets – none more so than season win totals. The Phillies’ season win total took a minor leap upwards when the club signed free-agent ace Jake Arrieta last week. Philadelphia opened with a win total of 77.5 and had just one win tacked on with the addition of the veteran starter. Arrieta should benefit from leaving Wrigley Field and now playing in the pitcher-friendly confines of Citizens Bank Park, and gives Philadelphia a nice one-two punch along with budding ace Aaron Nola. The bullpen is the biggest pain point for any bettor taking the Over 78.5 wins on the Phillies. Philadelphia blew 24 saves in 2017 and lost 36 games by one run. If the Phillies can even trim those numbers in half, they should have a chance to top this season win total. The Indians are now two seasons removed from their World Series appearance and may be getting left in the dust in the American League. The Tribe got tremendous work from their rotation last season, but their top two arms – Corey Kluber and Carlos Carrasco – logged some serious innings and could start to feel the wear and tear this summer. Cleveland doesn’t have much push back in the American League Central, with the Tigers, Twins, White Sox and Royals all expected to have down years. That could actually work against the Indians Over 95.5, especially as the postseason comes into focus. Manager Terry Francona may not push his club as much, trying to keep something in the tank for October. The American League East is always a battle between the Yankees and Red Sox, but it looks like Baltimore may be in the best position to finish third in the division. Toronto and Tampa Bay don’t bring much to the table, while the Orioles can at least put runs on the board. Manny Machado will be out to up his free-agent stock, and anchors a lineup that averaged more than 4.5 runs and finished fifth in total home runs on the season in 2017. The O’s staff doesn’t instill too much confidence but the bullpen could be the X-factor for Over win total bettors, posting the sixth-best collective ERA in the American League at 3.93 last season along with 35 saves and just 17 blown saves. The American League West is a monster division this season. Not only does it house the defending World Series champion Houston Astros, but the AL West also sees expected upticks from the Los Angeles Angels and Texas Rangers in 2018. That means someone’s got to drop, and that could be the Mariners. Seattle has some fine pieces – James Paxton and Felix Hernandez in the rotation, and Robinson Cano and Nelson Cruz in the lineup – but not much else around them. And some of those stars are starting to tarnish. The M’s did boost their offense a bit but it might not be enough to keep pace in a power-hitting division like the AL West.